It was real space age technology 1970s-style at its best and seemed so similar to that fictitious healing device used by the doc in the contemporary US TV’s Star Trek series, the Tricorder. But SCENAR was – and still is very – real. First developed by Russian scientists nearly 40 years ago for use by cosmonauts so they would have a means of treating themselves without drugs when on long missions in space, SCENAR stands for Self-Controlling Energy Neuro Adaptive Regulator. A small machine which has had a huge impact globally in the treatment of everything from sports injuries to circulatory and respiratory problems. SCENAR is a short pulse electronic neuro-adaptive therapeutic stimulator – which does sound as though it comes from a sci-fi script – but essentially it’s easier to think of it as a small but highly-effective electrotherapy device. Put simply, it reads the body’s energy flow, determines what is off kilter in the body, and then makes an adjustment to the nerve impulses to bring things back into balance internally. It works harmoniously, is used externally on the body and is a widely tried and tested healing tool. The main purpose of SCENAR treatment is to stimulate the body’s own healing powers by emitting an electromagnetic signal. This signal is almost identical to the human nerve signal. The ‘manufactured’ signal travels along special types of nerve fibres to the brain, which in turn brings about the production of neuropeptides (beneficial chemical signals) which stimulate healing – and fast. When applied to the point of pain, the brain also releases endorphins, our own powerful pain relieving chemicals. A completely non-invasive biofeedback device which does not involve either drugs or surgery, SCENAR has proved its worth in both traditional and holistic medical treatment alike. The device is placed directly on the skin, collecting electromagnetic signals that are then modified and sent back to the body. This biofeedback is what makes the SCENAR machine stand apart from TENS machines and other electrical therapies. 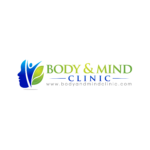 We highly recommend SCENAR treatment at the Body and Mind Clinic, none the least for its multi-use capabilities in the detection and prevention of many conditions and we would be pleased to make an appointment for you. You read more about SCENAR therapy elsewhere on the website.